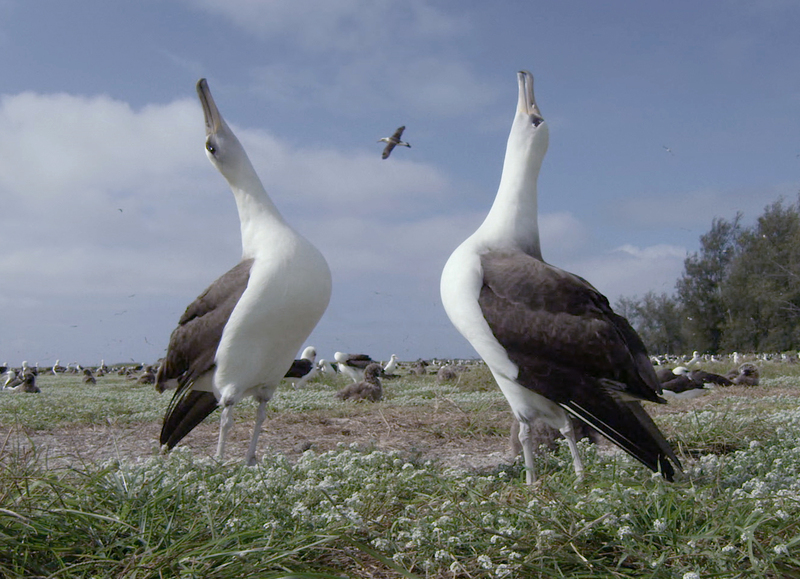 planet manners: Internet: Here comes #ALBATROSS! ALBATROSS is ready to fly! We are thrilled to announce that at long last, ALBATROSS is ready to fly! Our 97-minute feature film, following the Midway Journey project, is being given to the world as a new-paradigm gift-economy offering starting on Earth Day, April 22, 2018. Get ready to share in the moving experience of this transformative love story. You can browse our new website and watch the trailer here. Sign up here to host a free screening for your friends/family/school, etc., and we'll be in touch soon. On our Community Forum you can hang out with director Chris Jordan and the team, post your photos and artworks, find other goodies, and discuss all things Albatrossy. And to amplify the healing vibe of ALBATROSS further out into the world, you can donate to our project here. ALBATROSS will be released permanently for free on the internet for streaming and download on World Oceans Day, June 8, 2018. Thank you for your support and engagement through our epic 8-year adventure. ALBATROSS is everything we had hoped it could be, and now it is our joy and honor to release it as an offering of love, beauty, and hope for our times. ~With warm regards from CJ and the ALBATROSS team. Copyright © 2018 ALBATROSS, All rights reserved. You are receiving this email because you opted in to Chris Jordan's ALBATROSS film. Thank you for joining!